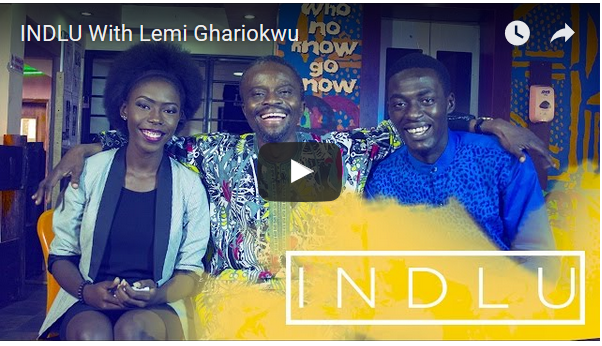 Lemi is a self-taught artist who met Fela at the age of 18. 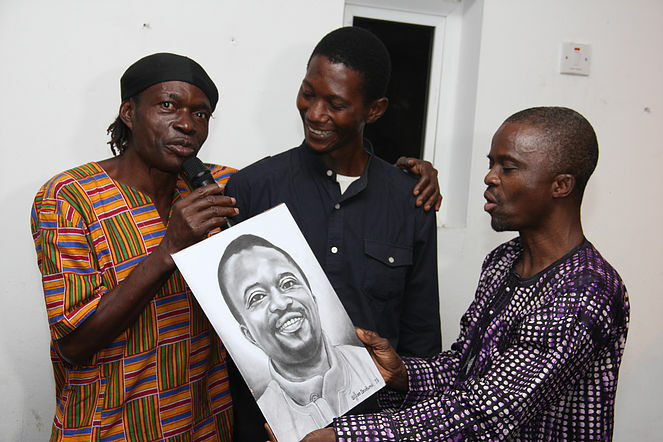 In all, he designed 26 album covers for the Afrobeat legend. Everybody Say “Yeah Yeah”  During ADE, #felabration2018, life and music of Fela Kuti hosts a lively discussion between DJ and scholar @richmedina Rich and legendary Nigerian afro, popart artist, illustrator and designer, Lemi Ghariokwu who is most renowned for providing many of the #original #cover #images for the recordings of #afrobeat founder Fela Kuti. 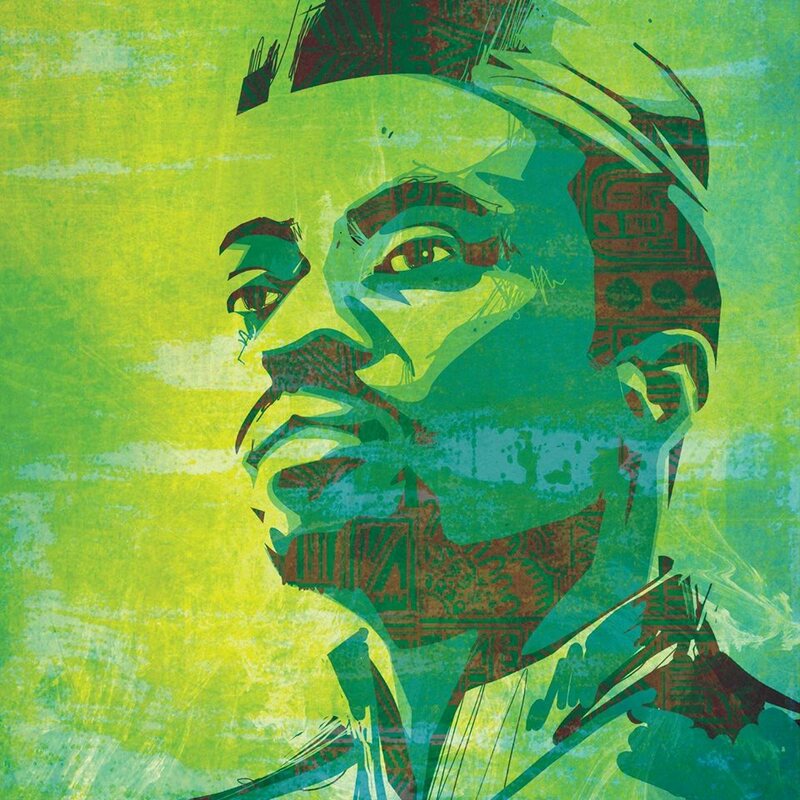 Rich and Lemi will talk about Lemi’s relationship with Fela Kuti, his process in the creation of his iconic album artwork that adorns Fela’s first 27 LPs, and the impact of Fela’s method of anti-colonial and governmental protest on the world. The art and music of these two unforgettable human beings go far beyond dancing and celebration. 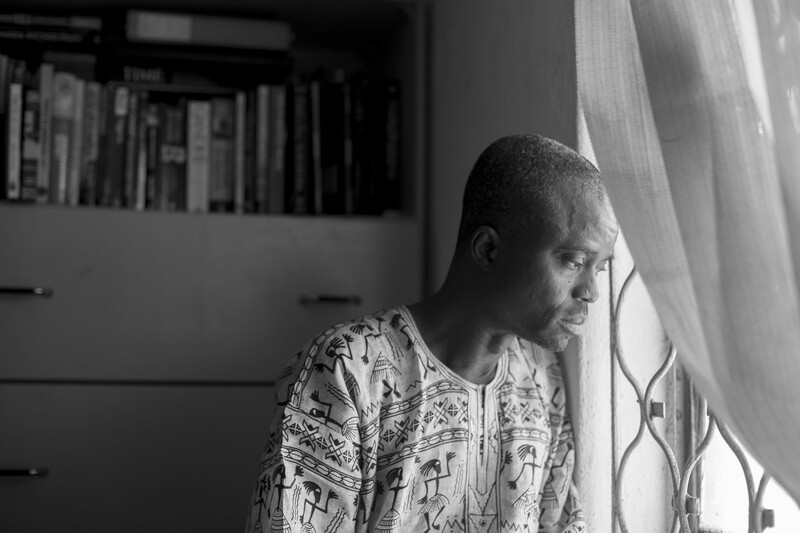 The art and music invoke depictions of life under colonial rule in Lagos, Nigeria, and the entire colonized world for that matter. 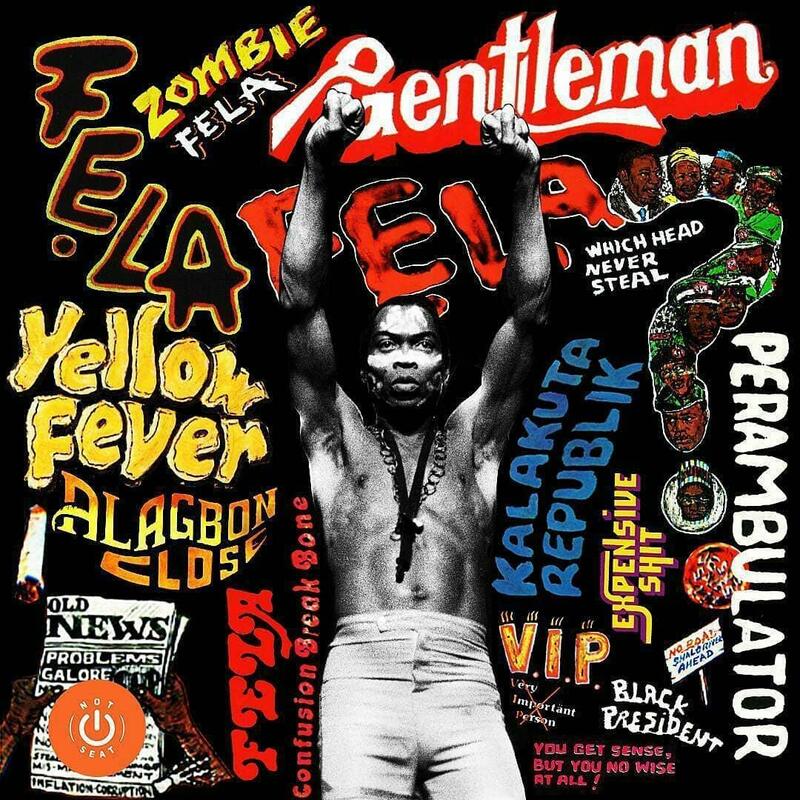 Fela’s decision-making process in remaining in Lagos with his people after traveling the world via his music, combined with Lemi’s amazing ability to interpret those visions with such power and consistency remains an unsung dialogue on speaking truth to power and standing up against fascism and the greed of colonial rule. We will #explore that #discussion in a manner never heard before in The Netherlands. Both Rich and Lemi have carried on this tradition in full spectrum in their own relative ways. We thought it only right to bring together the artist who interpreted Fela’s vision with an American DJ and scholar who fundamentally introduced Fela’s music to New York City in the 1990s, to hold such an important forum during Fela’s birthday month. 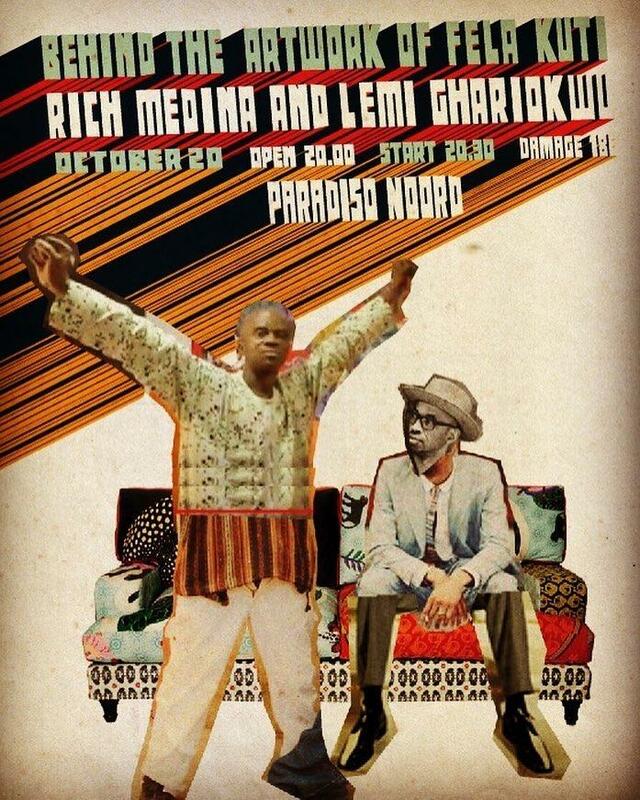 Felabration at the Paradiso Noord concert hall. Chai! Abami Eda! If to say you stay, you for see everything wey you talk! 80 years strong! You will always be our Black President. 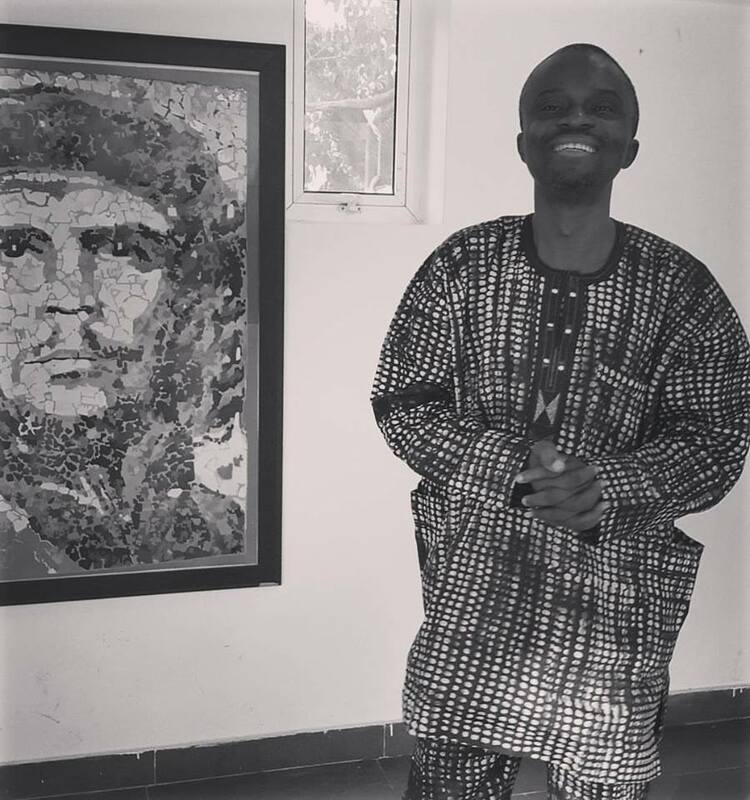 Lemi Ghariokwu is a veteran graphic artist who has designed album covers for iconic musicians such as Afrobeat Legend Fela, Bob Marley, Lucky Dube, Miriam Makeba, 2Baba, Sound Sultan, Kenny St. Brown, and many others. 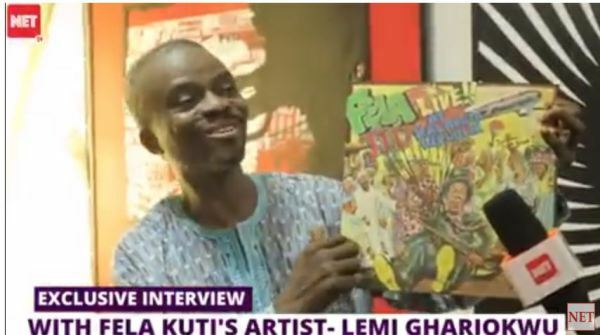 In an exclusive interview with NET TV caught up with, Lemi reveals how he met and designed 26 album covers for the late Afrobeat legend while he was alive and 3 more after he died. He also spoke about the first time Fela complained about an album cover he made. It was for the song titled ‘JJD’ meaning Johnny Just Drop, a title which stemmed from the ‘fake’ accent and attitude Nigerians imbibe when they return to the country from overseas. Lemi confessed that he felt irritated and saddened because that was the first time Fela would suggest what he should do.